An American infantry officer in Afghanistan was tasked with training indigenous police. Lacking any law enforcement experience, he looked to TV shows like “Cops” and “NCIS” to fill in the gaps. A helicopter pilot was pulled from the cockpit and given the same assignment. John Sopko, the special inspector general for Afghanistan reconstruction, described those anecdotes in a bruising new review that found the United States is ill-prepared to build the war-torn country’s security forces, whose foundation is ravaged by decades of conflict, illiteracy and corruption. Talent mismanagement, Sopko says, also undercuts such efforts. “We really do need to align capabilities to the needs of Afghans. Effective security forces are basically the way this thing ends,” Sopko told The Washington Post in an interview Thursday. The report comes as 3,500 additional U.S. troops are headed to the war zone, where they’ll augment what’s become an Afghan-led campaign, bringing greater capacity to provide close air support and advise front-line special operations missions. Yet questions remain about the United States’ overall objectives there, and how a modest increase of U.S. troops will help regain momentum in America’s longest war. After 16 years, the Taliban and other militant groups lord over 40 percent of Afghanistan. This micro-surge will bring the total number of American troops there to more than 14,000. On Thursday, Afghanistan President Ashraf Ghani spoke with President Trump, offering assurances that U.S. troops would maintain their support role. “The modest additional troops that have been sent are to enhance the assist, support, advice mission, and that is playing a very crucial role. Victory — political and military-wise — is within our sight,” Ghani said. It’s unclear how any effort to overhaul training and reinforce the Afghan security forces can be confidently executed amid the grueling missions to reverse Taliban gains. As of early May, more than 2,500 Afghan security forces had been killed this year, with more than 4,200 wounded. It is also unclear how quickly some of Sopko’s 35 recommendations can be implemented, though the Pentagon said Thursday that it held discussions with the inspector general as the report came together. “We appreciate the insights they offered and are considering how to apply them to current activities in Afghanistan,” Lt. Col. Michael Andrews, a Defense Department spokesman, said in a statement. Some recommendations, like deploying more civilian police trainers, could reasonably happen within months. Others — such as revamping logistical systems to better supply Afghan army troops — would probably be a massive undertaking, complicated by challenges posed by the country’s mountainous terrain and the many regions laced with roadside bombs. More than $70 billion has been poured into building up the Afghan military and police, and yet the U.S. government lacks a “deployable police-development capability for high-threat environments,” Sopko said in the report. The Justice Department has capacity for the mission but not the responsibility or funding, he said. 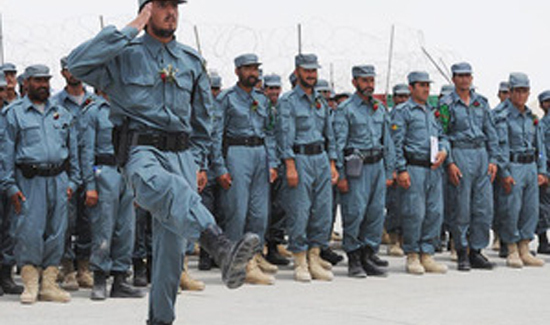 The Pentagon has willingness and funding but lacks the capability among its military police to train Afghan police officers in civil law enforcement. The State Department has responsibility for the mission but neither the capability nor the funds, Sopko said. Moreover, many lessons collected in Afghanistan dissipate as U.S. troops and officials rotate back home after months in country without fully transferring their wisdom to their replacements. “If you’re a corrupt Afghan official and have someone who is watching you and being very careful, then you just wait until the guy leaves,” Sopko said.